This post is part of HuffPost’s ongoing #PitBullWeek coverage. 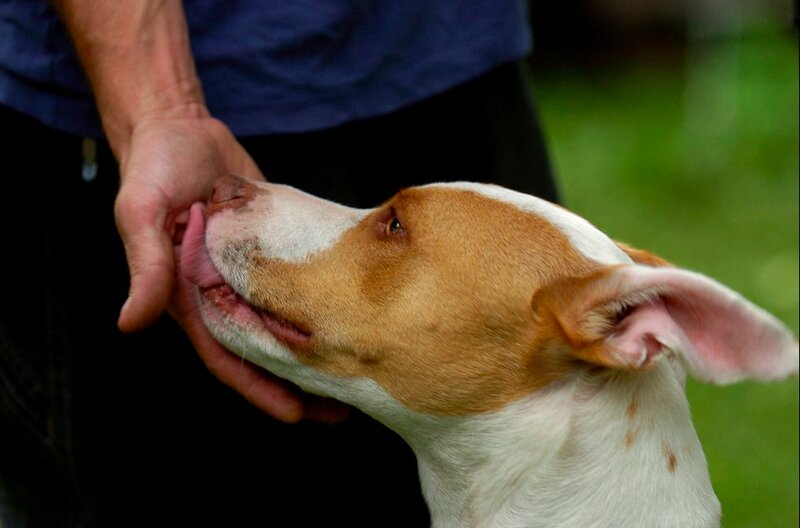 Virtually every dog relishes a loving scratch behind the ears and some sweet, vocal praise. But dogs identified as pit bulls get a bad reputation and a lot less love. For many human ears, the label “pit bull” connotes a vicious animal with the innate will to attack. 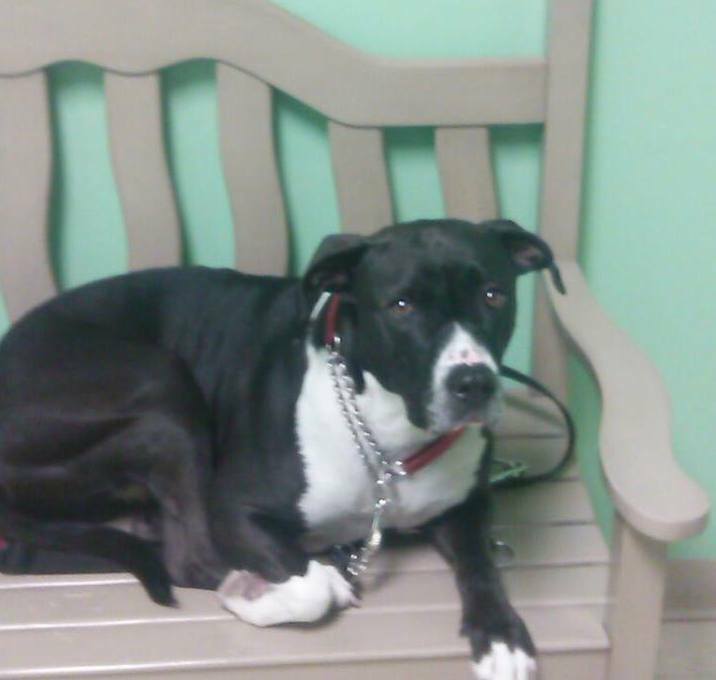 When an intruder fired a shotgun at Lefty’s owner, the pit bull jumped in the way and took a bullet for him. The dog suffered extreme injuries on her shoulder and her leg, which had to be amputated. Lefty’s heroic move was recognized by a large Facebook community: Supporters helped the family cover 100 percent of the medical costs of Lefty’s surgery, and she’s now “trotting around like she’s been a 3-legged dog her entire life,” the Atlantic Animal Hospital shared on their Facebook. Baby rescued a family and its dogs from a house fire. Baby barked and pounced on Westenberger and her sister, Evelyn, alerting them of the smoke filling their Oklahoma home. After the people were taken care of, Baby went back for the five other dogs trapped in the home. According to a family member, one of the dogs was hiding underneath the bed. Baby dragged the dog by the neck outside to safety. Creature saved an 89-year-old woman with dementia. Creature and her owner, Cara Jones, were out on their routine nightly walk when Creature did something out of the ordinary: She bolted from her usual spot to find Carmen Mitchell, an elderly New Jersey woman who suffers from dementia, CBS reported. Mitchell had separated from her caretaker and lost her way for about eight hours. She was discovered about half a mile from her home, without a coat or shoes. Without Creature’s keen sense of smell and unrelenting drive, Mitchell may have been lost for much longer. TaterTot saved a 4-year-old boy from a blood sugar crash. 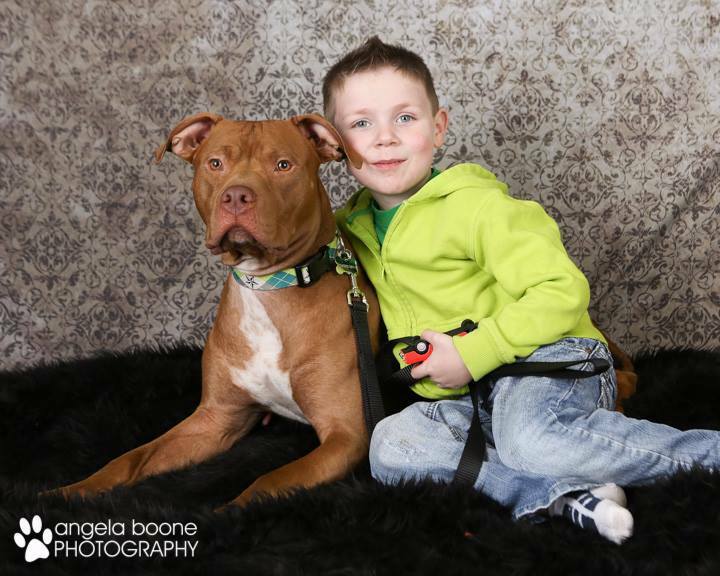 On his fourth day as a foster dog, TaterTot the pit bull saved Christi Smith’s four-year-old son’s life. The pup barked and whimpered in the middle of the night as he paced between Smith and her son Peyton’s room in Minneapolis. When Smith check on Peyton, she found him incoherent and barely breathing. At the emergency room, doctors found his blood sugar levels had crashed dangerously. Veterinarian Isis Sanchez told KMSP-TV that TaterTot’s sharp sense of smell helped him sense Peyton’s shift in body chemistry. Jack risked his life for a cat being attacked by coyotes. Chako saved his owner from an abusive partner. 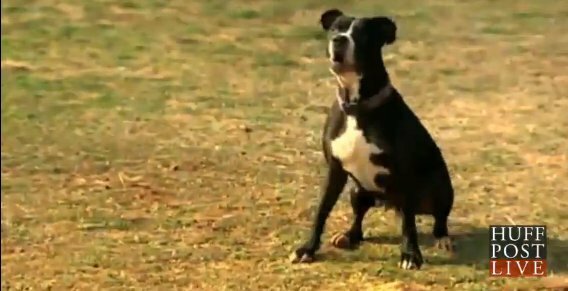 On Halloween 2013, Chaco suffered 12 stab wounds while protecting his owner, a woman in Richmond, Virginia, from an attack by her abusive partner. 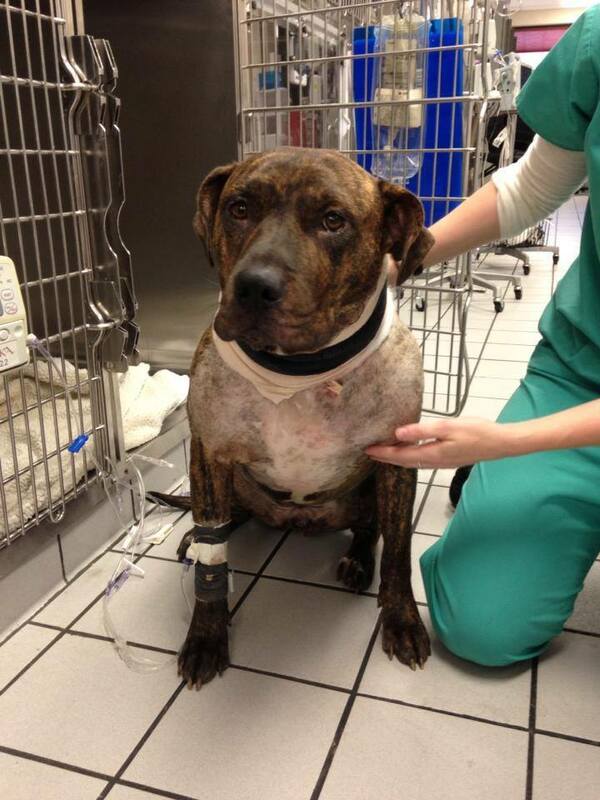 The damage done to the heroic dog racked up over $3,000 in veterinary expenses. All of the cost was covered — within a day of fundraising by Ring Dog Rescue and Gracie’s Guardians — by generous donations through PayPal. Mercey protected his owner from a violent home invasion. Four-year-old Mercey jumped in front of her owner in Edmonton, Alberta when four males broke into their apartment and attacked with a machete. 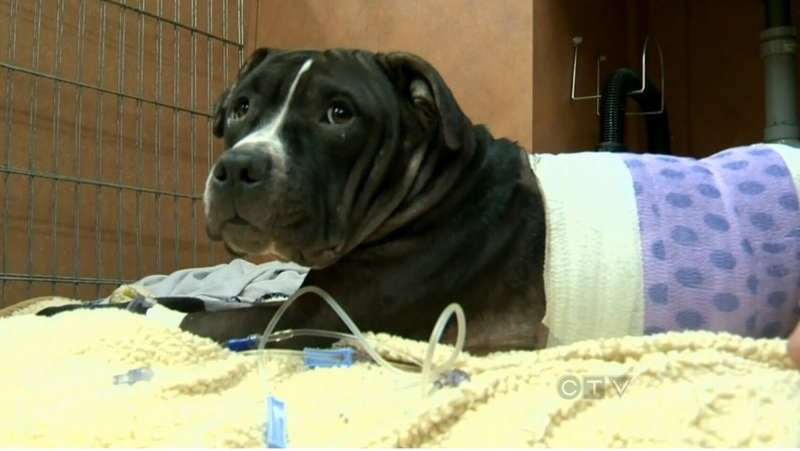 CTV News reports the dog suffered from life-threatening injuries after the attack, and local police officers pitched in to help cover the costs. Read more about the story here. 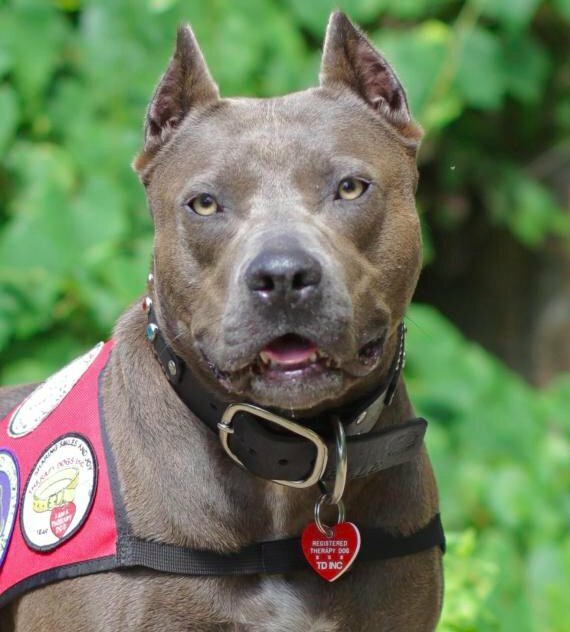 Elle is a Hero Dog and helps people overcome their fears. In 2013, this 5-year-old, sweet-faced pit was named the American Hero Dog by the American Humane Association. Elle works as a therapy dog in Roanoke Rapids, North Carolina, where she aids in teaching children about dog safety and helps people overcome their fear of dogs. 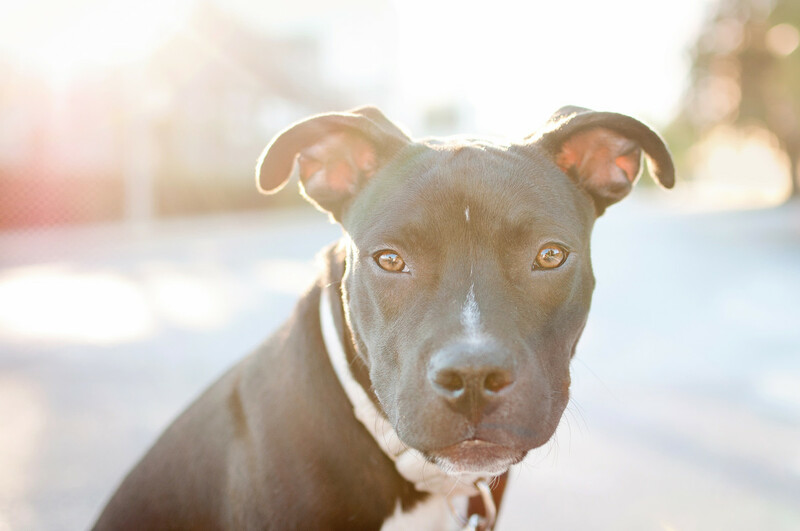 Elle’s demeanor and recent award count as considerable progress for changing the misconceptions associated with pit bulls. Major dialed 911 when his owner was having a seizure. Ohio resident Terry McGlade is a military vet who suffers from seizure disorder and PTSD after being targeted by a roadside bomb while serving in Afghanistan. His service pit Major is trained to recognize signs of his problems. Sure enough, when he collapsed from a seizure, Major pulled McGlade’s phone from his pocket and pawed the screen — which is set up to automatically dial 911 — until it called the police. The emergency responders say they didn’t hear anything on the other line, but sent help to McGlade’s home to check the scene. When the police arrived, Major was waiting in McGlade’s front yard, and brought them to the back where his owner lay unconscious. 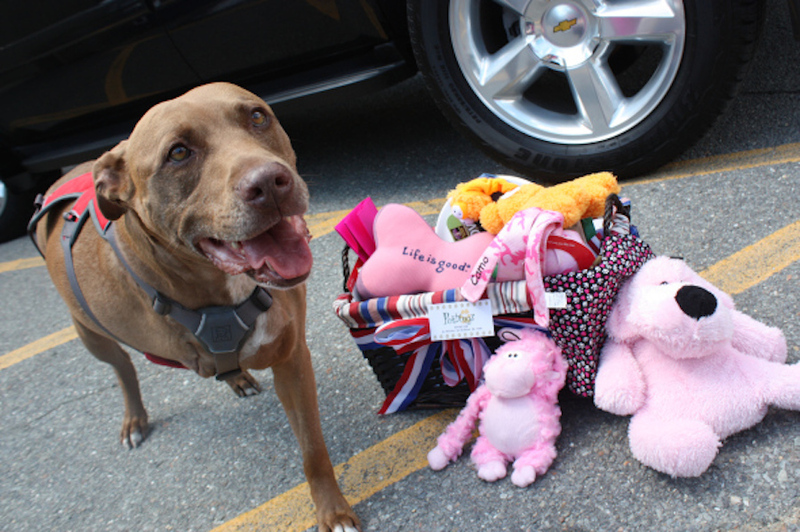 Peaches lifted spirits after the Boston Marathon bombing. Peaches was once slated to be euthanized, as part of an animal cruelty case in Georgia. 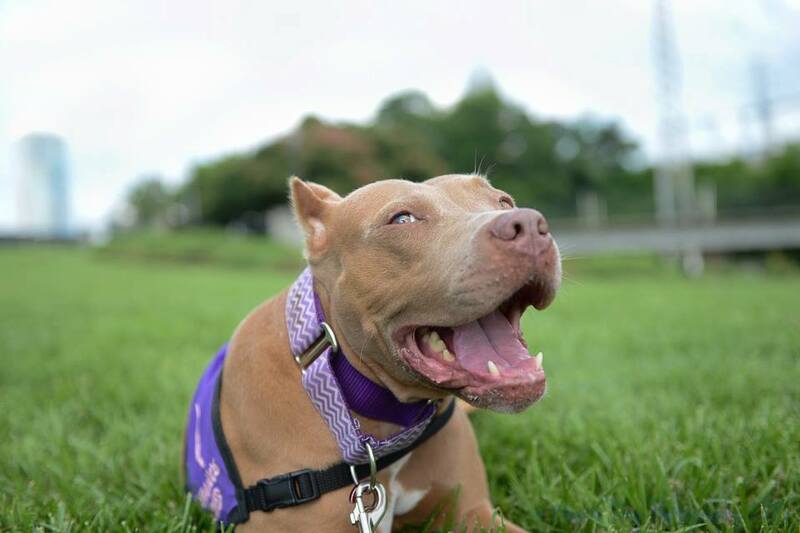 Now, the Charlotte-based rescue pit is raising morale across the country. In April 2013, the pooch took a work trip to Boston to cheer police officers at the memorial at the marathon finish line. Abby saved a four-year-old girl from a fox attack. 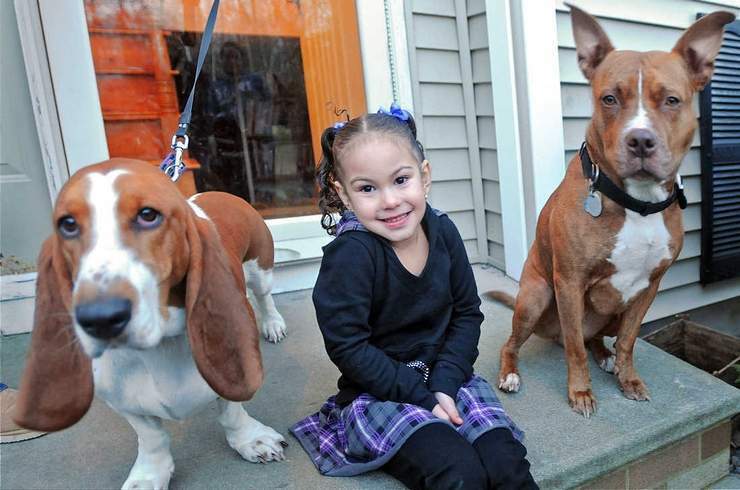 Angelis Proctor, a little girl from Leicester, England, has a basset hound and pit bull to thank for rescuing her from a fox attack. When the two dogs saw a fox bite Angelis by the pants, they chased the aggressive animal away, and then returned to check on the child, the Telegram reported in 2010. In this case, a fox should be wary to mess with anyone close to a hound (or pit). Destiny prevented a 9-year-old boy from getting abducted. In 2006, a young boy in Fort Collins, Colorado was picking up toys in his backyard one night when a man attempted to pull him over the fence while covering his mouth. Destiny, a two-year-old pit bull, charged the invader, who then released the child and fled the scene, the Denver Post reported. Phoebe rescued a cat sealed in a cardboard box. 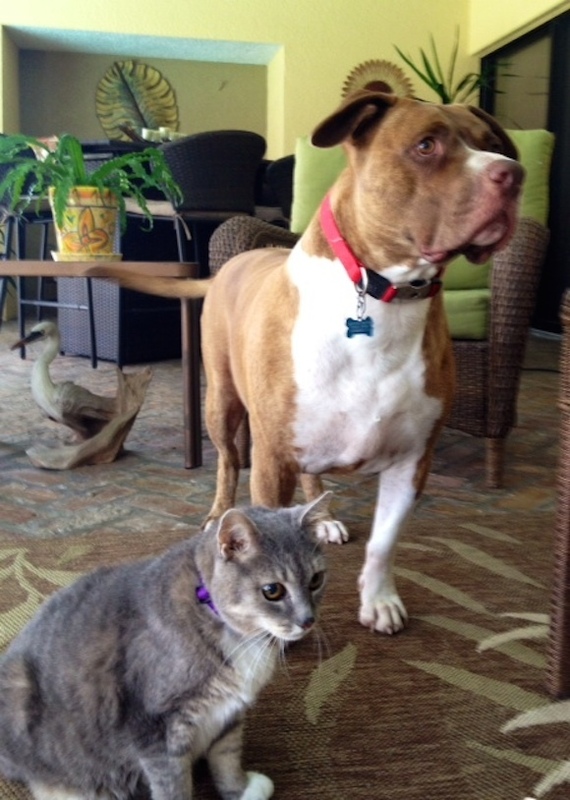 A pit bull with a sharp nose was this little cat’s best friend. Around Christmas of 2010, when Phoebe was on her regular morning walk in Troy, New York, she responded to mews she heard from a cardboard ditched among a pile of trash. The box was sealed with tape — there was only a small hole, through which Phoebe stuck her nose, Times Union reports. The pair found a cat trapped inside. Stitch inspired children with birth defects. Stitch’s cleft lip and palate has given strength to two children with the same birth defect, reports MyNews4.com and KRNV. 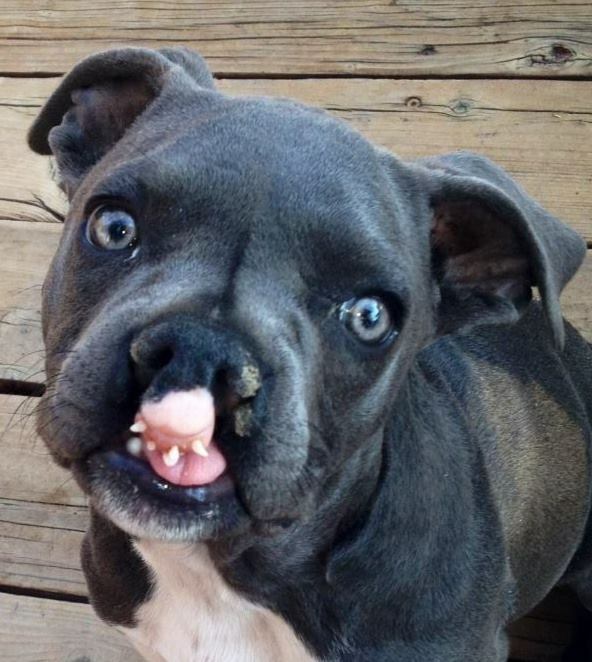 When the pit was six months old, his foster parent and licensed vet technician Chrissy Boyles put out word to raise money for surgeries to correct the dog’s deformities. Ashlee Rodman, mother to Sam and Lily who were both born with cleft lip and palate, saw the fundraiser and knew the pooch would help her kids through their own surgeries. Cletus walked in his owner’s place at a college graduation ceremony. 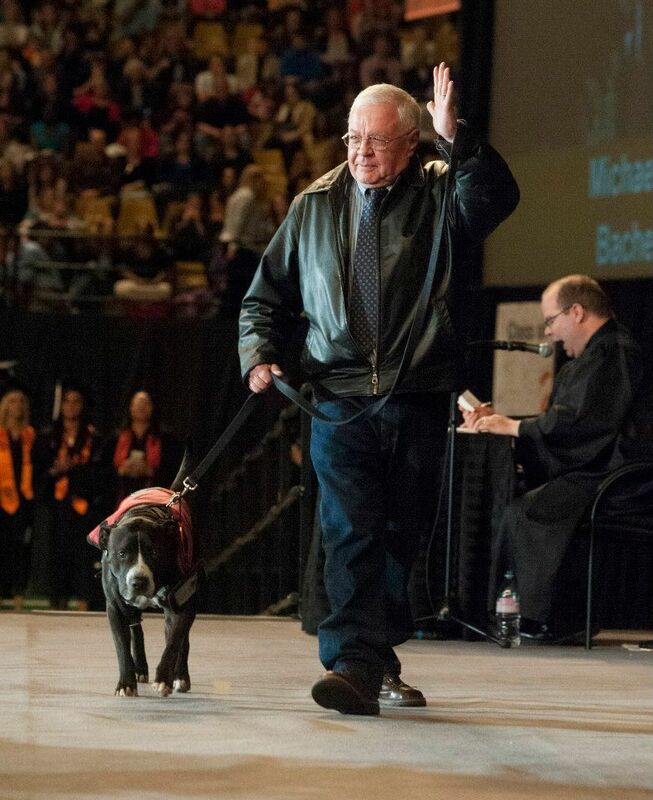 More than 2,000 people, along with a dog named Cletus, walked on stage at Idaho State University’s 2014 graduation ceremony. The service dog accepted a diploma on behalf of Josh Kelly, his companion who suffered from epilepsy. It took Kelly, a geosciences major, a decade to graduate because of his challenging disability. The dedicated student passed away in February, but Idaho State granted Kelly’s dad and dog the opportunity to accept his posthumous diploma. Cletus and Kelly would walk a total of four miles each day to catch the bus to and from school, Kelly’s father told NPG Idaho. ISU has officially changed the name of an undergrad study hall in the geosciences department to “Cletus’ Corner” to honor Kelly and his faithful service dog. 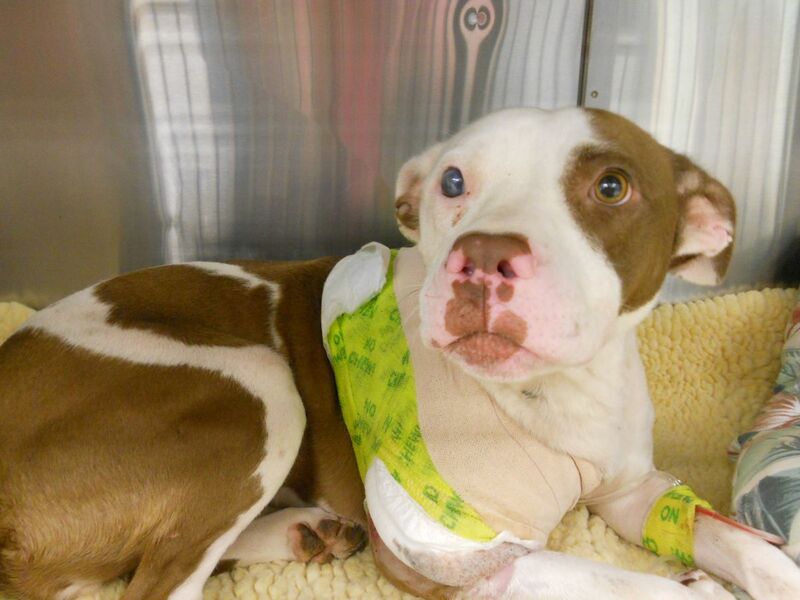 Lilly saved her owner from getting hit by a freight train. One late evening in May 2012, a freight train conductor riding in Shirley, Massachusetts saw the silhouette of a person and a dog on the tracks ahead. He radioed for the train to stop, but could tell there wasn’t going to be enough time. Christine Spain had tripped on the tracks while walking her dog, Lilly, and fell unconscious. The conductor saw that the silhouette was moving — Lilly was attempting to pull her immobilized owner off the tracks. As the train passed over the pair, the conductor claims to have felt a thump. When he was able to safely exit the train, he found Spain unscathed; Lilly had covered her owner and took the hit for her. While waiting for emergency services, Lilly continued to watch over Spain, though the dog herself was suffering from extreme injuries, including to her front right leg, which had to be amputated in surgery. 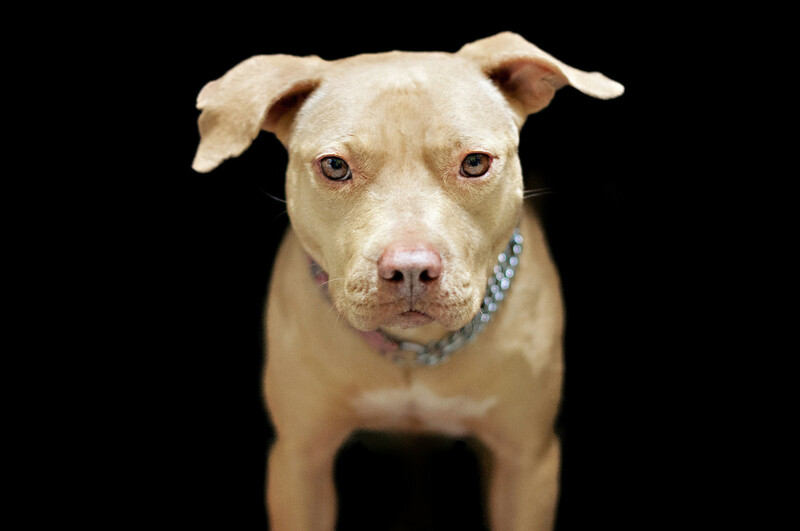 HuffPost Green is launching a week-long, community-driven effort to bust the myths and raise awareness about pit bulls, a maligned “breed” that often bears the brunt of dated, discriminatory legislation that can make it near impossible for these dogs to find a forever home. You can follow along with HuffPost Pit Bull Week here, or on Facebook and Twitter where we’ll be using the hashtag #PitBullWeek.